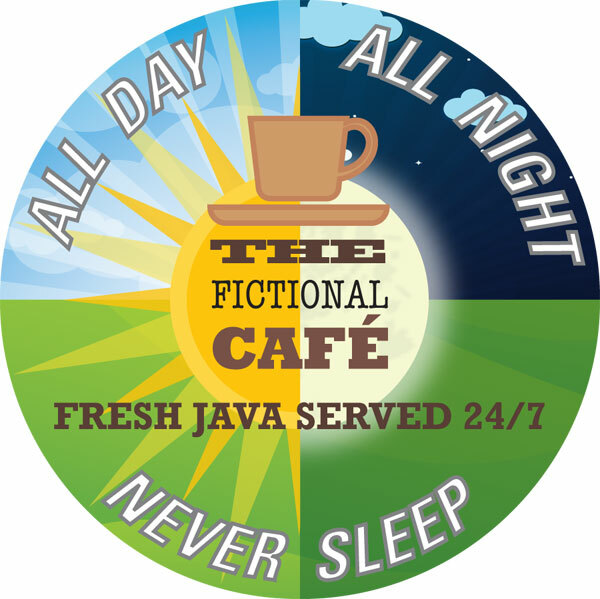 This is the Union Café, where Mike Mavilia and I gave real life to my Fictional Café. It’s a virtual coffee shop, an online ‘zine, where creative souls from around the world congregate to “share a cuppa creativity.” You come to the Union Café for great food, a happy, smiling waitstaff, casual ambiance and community. My head barista and I also came on many occasions to forge another café – the Fictional Café – in the smithy of our souls. What began, for me, as a labor of love has turned into a virtual coffee shop community of over 400 souls at last count. No food or drink, but it has become a community for fiction writers, poets, photographers, artists and creativity-lovers from every walk of life, all around the world. to hang out together. You can even listen to podcasts of short stories and novels. Can music be far behind?